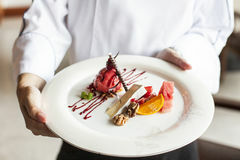 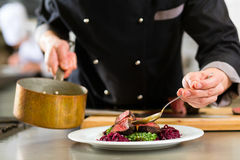 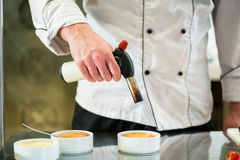 Chef as Patissier cooking in Restaurant dessert. 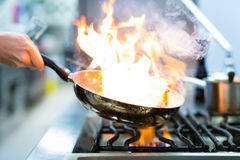 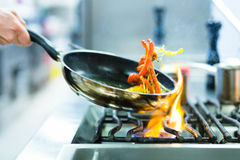 Food, preparing. 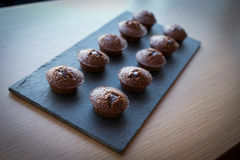 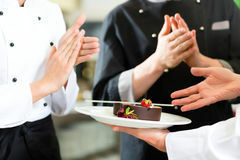 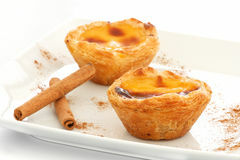 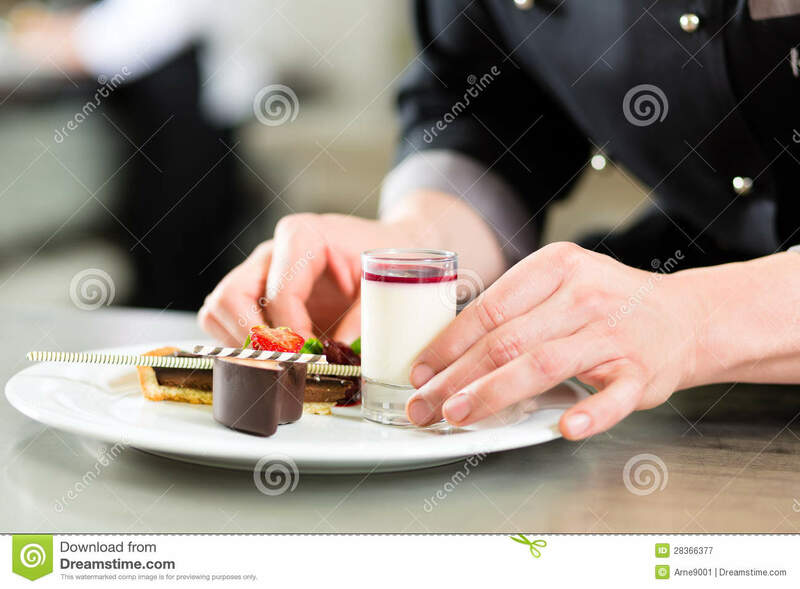 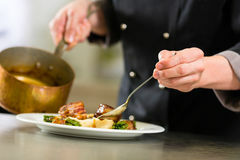 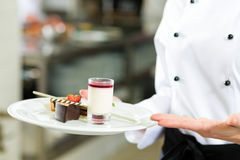 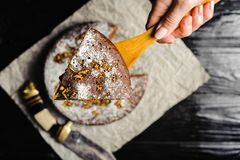 A cook is cutting a chocolate cake with a knife Small Pastries Artfully Displayed Delicious Mini Eclairs With Chocolate. 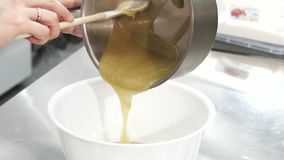 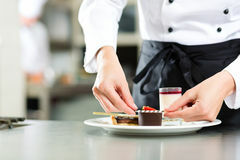 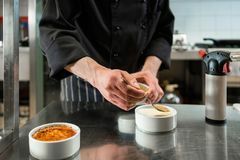 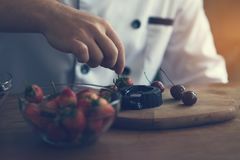 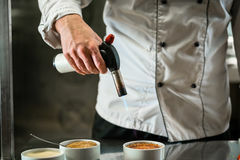 Pastry chef pouring hot cream from a pan into a bowl Melba - Contemporary Layered Vanilla, Raspberry, Peach Mousse Cake Fresh berry cheesecake food photography recipe idea Dessert on chef hand Star sprinkles Chef decorating homemade chocolate with strawberry in kitchen..